National Geographic makes the United Nations Declaration of Human Rights accessible and engaging for young readers, adding a wealth of information and resources for further exploration to this important endeavor. 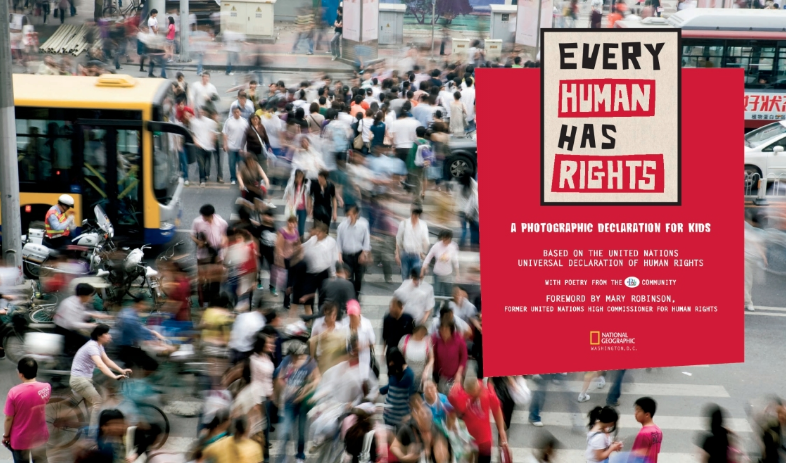 There is a lot happening in Every Human Has Rights, and a lot to unpack, starting with Robinson's forward where she tells readers that the, "Universal Declaration ranks as one of the greatest documents of human history." Robinson goes on to acknowledge the, "widespread discrimination on the basis of gender, ethnicity, religious beliefs [and] sexual orientation," noting that genocide, like that of WWII and the aftermath that necessitated the Universal Declaration for Human Rights, is happening again. Robinson tells readers that, "change comes about through education," and action, leaving readers with resources for doing both. 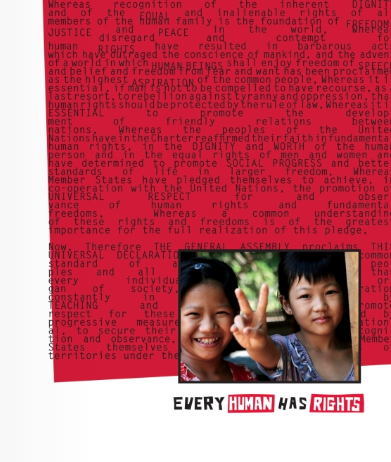 A note from the editor expands on Robinson's mention of the Every Human Has Rights Campaign started by The Elders, a network of elder statesmen advocating for human rights around the world. In awe of the work of the Elders, National Geographic decided to join their anniversary celebration of the 60th anniversary of the Universal Declaration of Human Rights (which is now celebrating 70 years since ratification) by, "creating an interpretive book for young people." 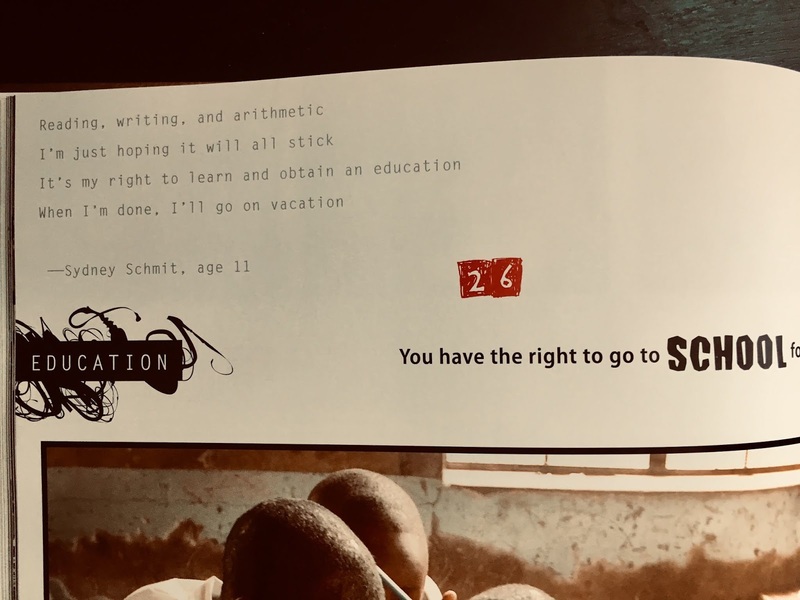 Partnering with ePal students, the largest online community of K-12 learners, an international writing contest resulted in the sixteen poems, inspired by the Universal Declaration, from authors aged 10 - 18. 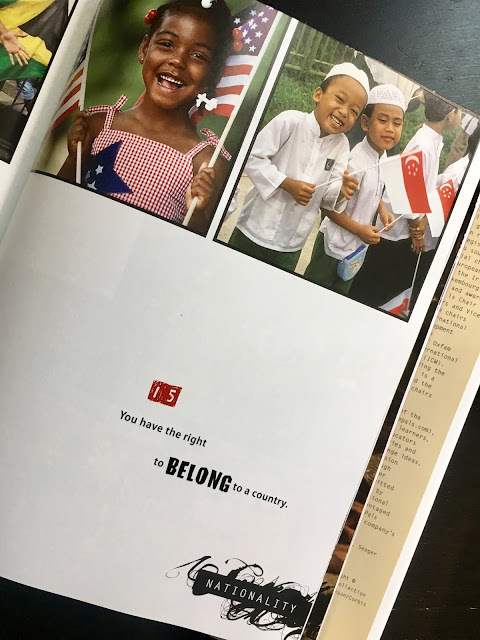 These poems appear across the 30 rights along with text that informs the photographs on the page as well as the featured right. In a feature that I especially like, a black box on the right side of the page distills the right into one word. 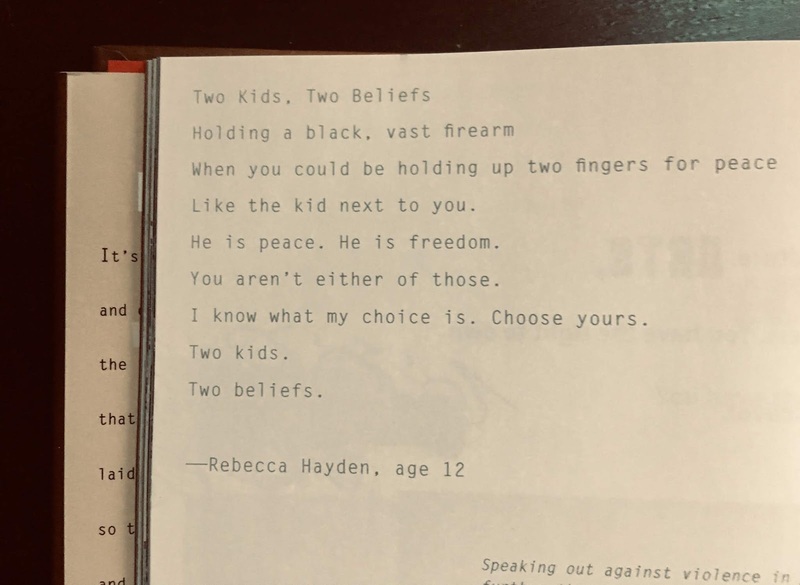 While the human rights (the full text of the original document appears at the end of the book) have been adapted for young readers, there concepts presented in the principles can still be challenging to grasp. In addition to the original Universal Declaration of Human Rights, backmatter includes additional information on Mary Robinson, ePals and brief biographies of the winning poets. Further information includes websites where more information about human rights can be found, with the helpful and important reminder that, "reports of human rights abuses can be very disturbing and may not be appropriate for children under 12." Websites safe for younger children have been marked. 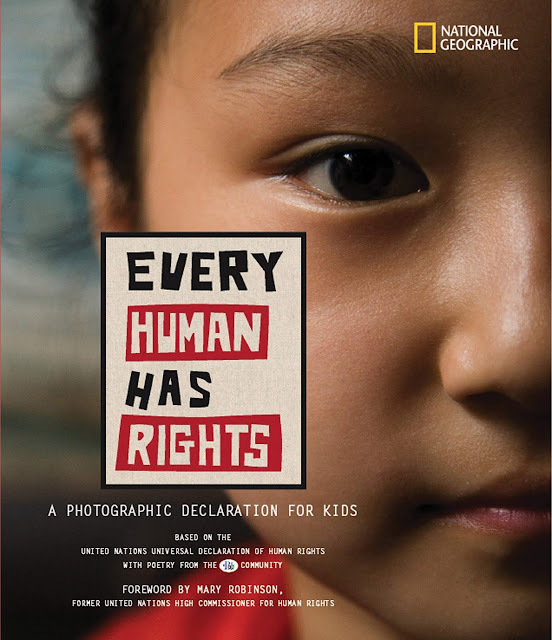 Every Human Has Rights is a phenomenal resource and a powerful way to introduce kids to the idea of freedom and dignity, all aspects of which are being increasingly challenged and diminished by our nation's current leader.